The Richmond Tigers finished the home and away season a game clear on top of the table in 1982. The following season was a rude shock. The 1983 Tigers lost their first five games, before finally winning their sixth, against Hawthorn. 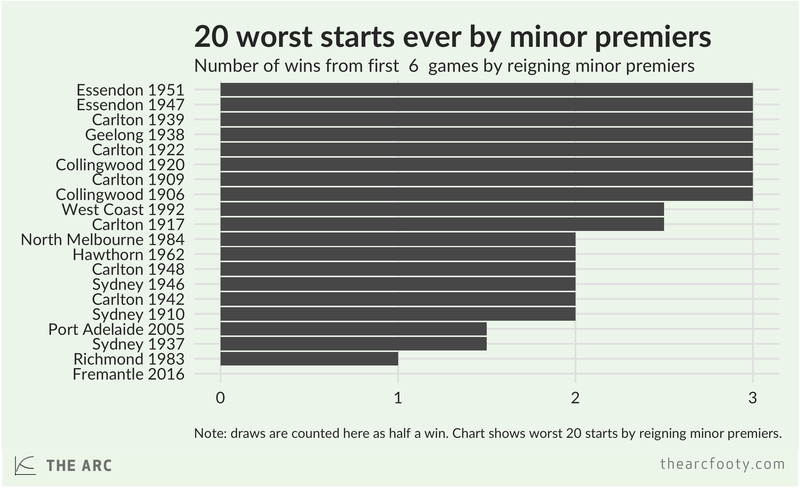 Until now, the 1983 Tigers had the worst start to the season of any reigning minor premiers in AFL/VFL history, going all the way back to 1897. 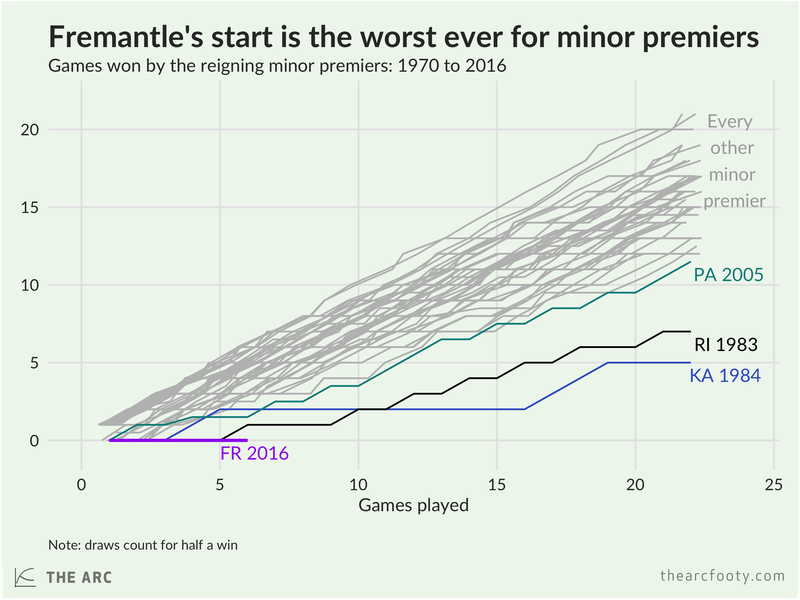 Their record has now been surpassed by the 2016 Dockers, who are the first reigning minor premiers to lose their first six games. They no longer share the record for the worst start ever – they own it outright. So how many wins might Freo end up with at the end of the year? The previous two worst seasons (since 1970, at least) by reigning minor premiers were the 1983 Tigers, who ended up with 7 wins, and the 1984 Kangaroos, who ended up with 5. We’ll post updates to this chart throughout the season to track Freo’s progress against their historical benchmarks.